Caption slip reads: "Photographer: Brunk. Date: 09-13. Reporter: Brown. Assignment: New pastors -- Wilshire Christian Church. 11-12: Rev. 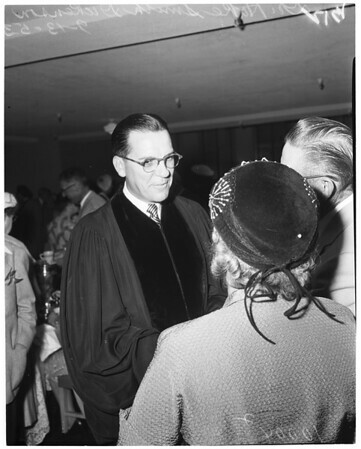 Hoke Smith Dickenson, new minister of Wilshire Christian Church, greets church members."